Vacation rental house. Sleeps 8, 3 bedrooms, 3 bathrooms. No pets allowed. 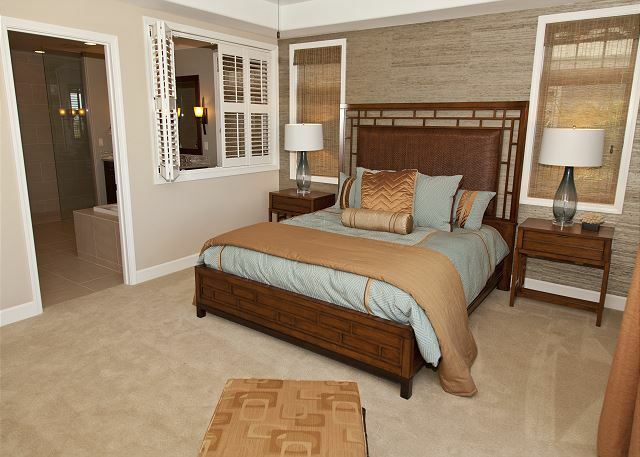 When thoughtful design meets every expectation effortlessly, the vacationer encounters their Paradise. When the fine-tuning of taste, vision, and elegant artistry harmonizes into a chord of calm, the guest melts into their surroundings. This is why the love of discovery fuels the pursuit of travel. KaMilo 303 is that unique gem that catches the light of your Island Spirit, and illuminates a peaceful prism of beauty and serenity. 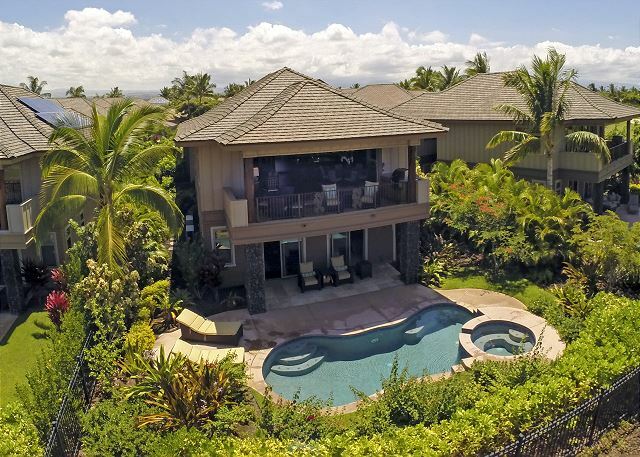 This three-bedroom, three-bathroom private property is situated singly in the preeminent destination of the Mauna Lani Resort, at the KaMilo Development. 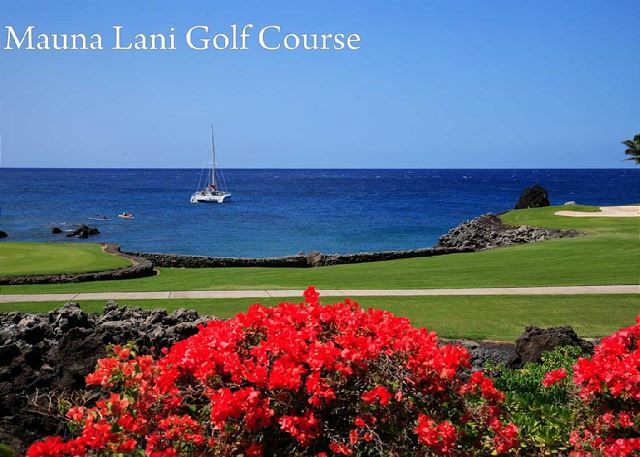 Expansive fairway views open their green horizons to sky, mountain, and sea breezes. Luxurious furnishings and stately decor welcome the traveler to sit and contemplate the breathtaking fortune of the KaMilo lifestyle. Private pool and spa pull the guest out into the tropical sunshine, while the shaded upper lanai, accessed via a room-width series of sliding and disappearing doors, invites a coffee, a cocktail, or a shrimp on the barby! 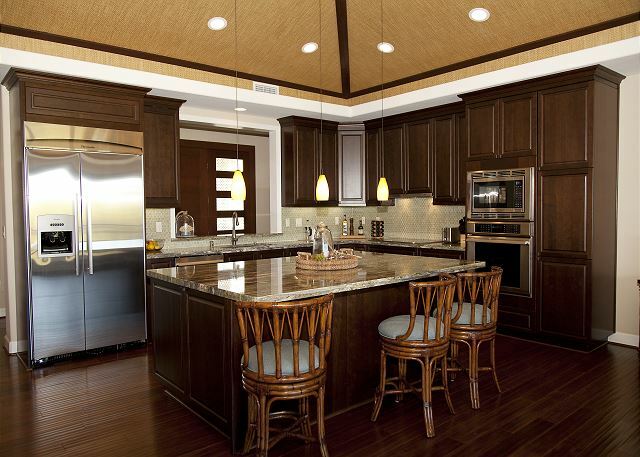 Stunning granite, brilliant light fixtures, and top-notch appliances muster the kitchen from exquisite showcase to epicurean showroom for your finer culinary creations. 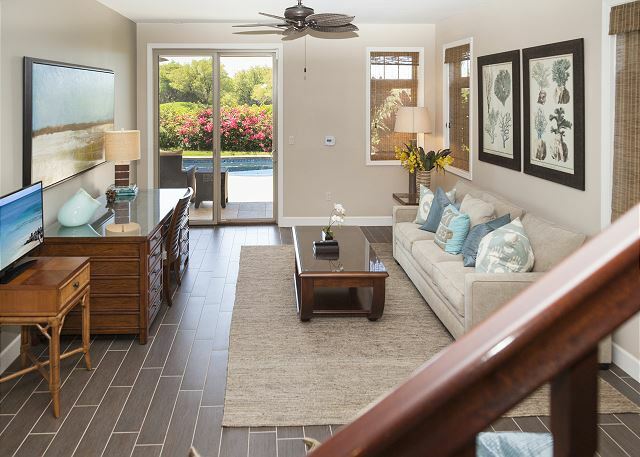 The living and dining areas flow as one, and before the morning scent of plumeria wafts in, your friends and family are gathering under gentle ceiling fans, just as you had imagined. 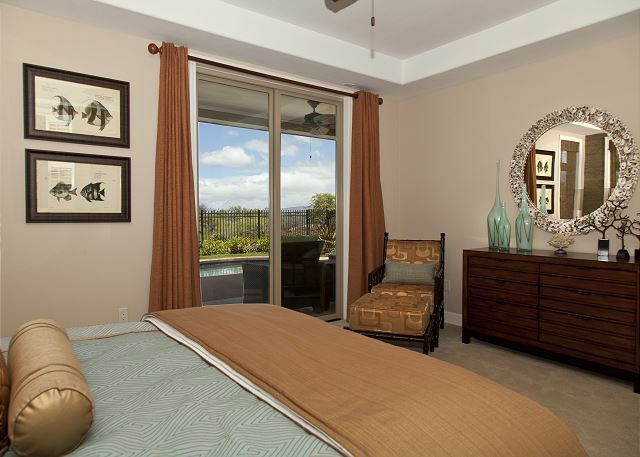 Three bedrooms create nests of tranquility – pure, simple, refined. 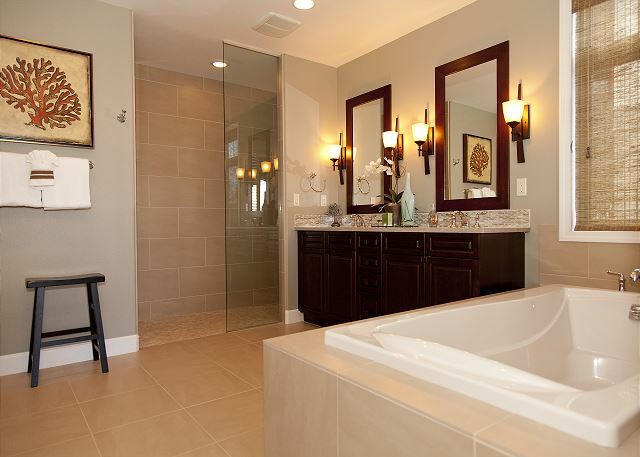 Immaculate bathrooms provide luxury at every turn. 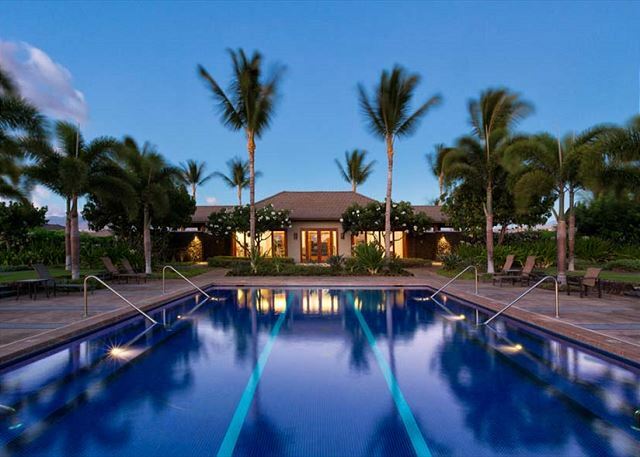 And at every entrance and exit the guest makes of this home, they will recognize the impeccable style and privacy as being its most precious amenity. 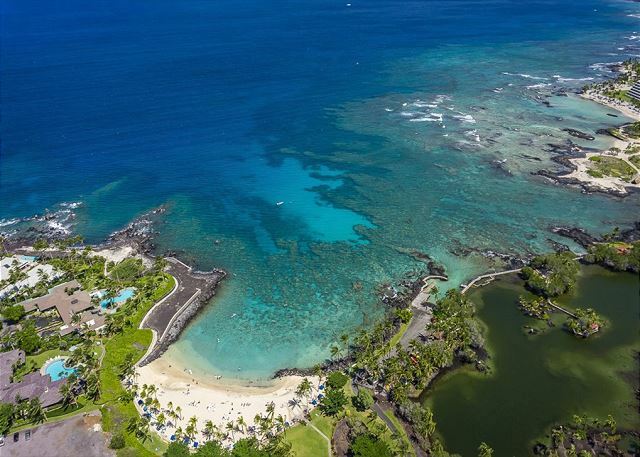 Convenient access to The Shops at Mauna Lani, and the exclusive Mauna Lani Beach Club, complete the all-inclusive feeling, making KaMilo 303 your home base for adventure and relaxation. Kitchen Full Kitchen, Stainless Appliances, Large Stainless Refrigerator, Coffee Maker, Ice Maker, Microwave, Toaster, Cookware and Utensils, Paper towels, soaps, etc..
We always enjoy our time at KaMilo! 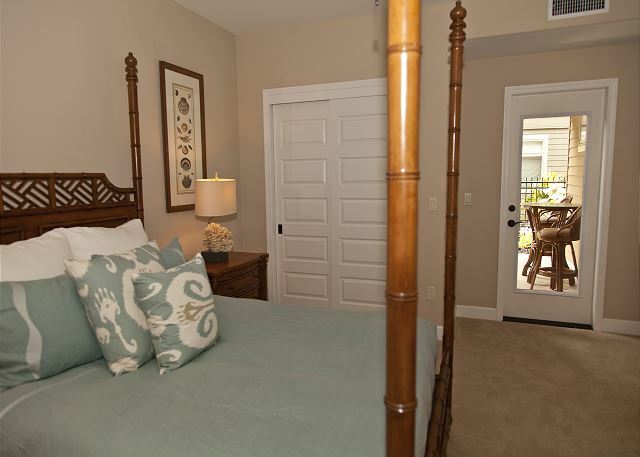 The condos are very clean and pretty furnished. Just a couple recommendations tho. Additional blankets and a wine opener. Shig and Maya are always so helpful and pleasant. Our group of 7 had a great time in the comforts of this home. Everything we needed was available to us. The well stocked Foodland market nearby was so convenient for our groceries and meals. 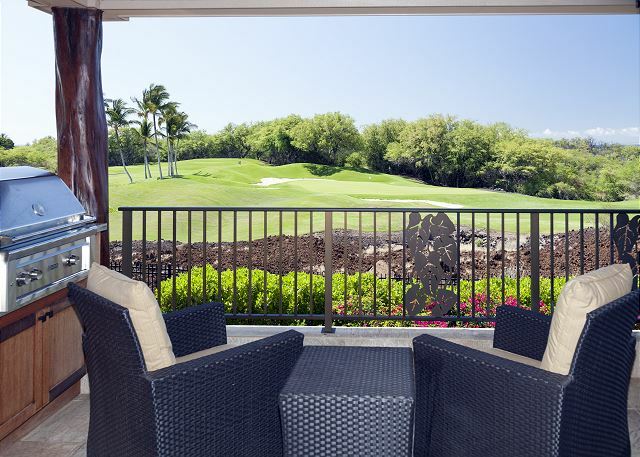 We spent most of our time on the top lanai overlooking the golf course. Everything was beautiful! Beautiful home and a great stay. Staff was very attentive to our needs and answering our questions. Would definitely stay there again. Beautiful home in a great location, plenty of room for our family of 5. 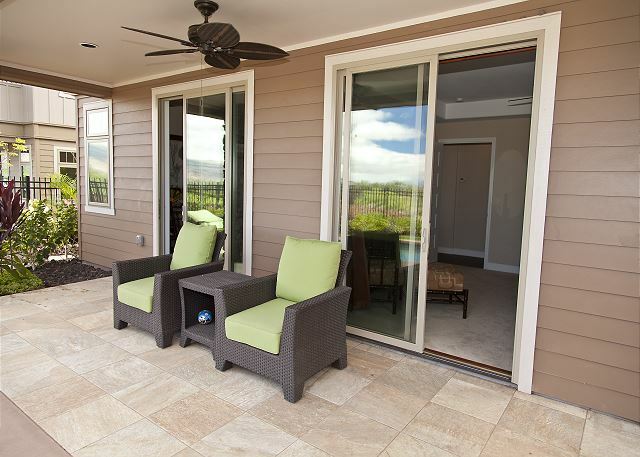 We very much enjoyed the lanai overlooking the golf course (goats!) and the pool and hot tub. House had plenty of towels, including beach towels and kitchen was pretty well equipped with nice appliances. Very much appreciated the homeowner providing laundry detergent, dishwasher tabs, and some extra paper goods. There are two beautiful community pools which were not at all crowded when we were there in August. It was a quick drive to several beautiful beaches (house had a few beach chairs and lots of beach and pool toys). Communication with management, mostly via email, was prompt and smooth. We had no issues arise with the house so no need for further contact. 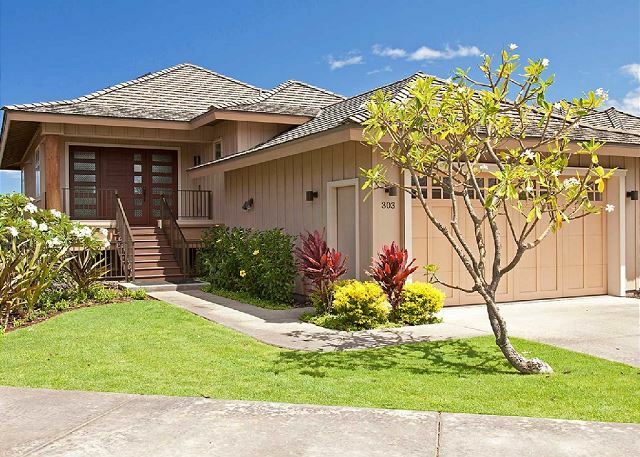 We own a home at Mauna Lani Champion Ridge and needed more room for a retreat we hosted. We loved your home and everyone was very comfortable. The view, location, pool and decor were exceptional! Great house, very well equipped.